Specifically designed AND researched to Support Prostate, Cellular and Immune Health, gentle Liver Detoxification and Healthy hormonal balance, ProstaCaid® is a safe, potent and highly effective blend for superior prostate health maintenance. In multiple scientific studies, ProstaCaid® has shown an effect on both hormone dependent and hormone insensitive prostate cells. At higher doses, ProstaCaid® forms the foundation of a comprehensive holistic program for Active Prostate Support. At lower doses, ProstaCaid® offers Daily Support for Maintaining prostate health. There are a multitude of safe, well researched, non-invasive options available to you but lasting prostate health isn’t a simple task. There are many complex factors to consider—from urinary function to hormonal modulation to proper cellular differentiation. But the truth is you can address all of these critical areas—without risking your livelihood in the process—with the help of this breakthrough natural formula known as ProstaCaid®. 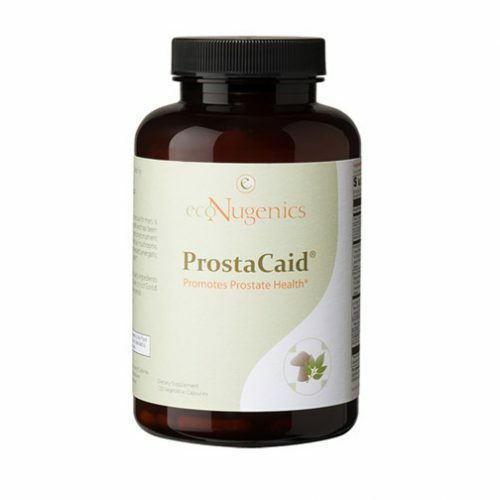 Drawing from the latest advances in prostate research, this breakthrough formula applies the finest principles of Integrative Medicine to offer you superior, scientifically proven prostate care and powerful cellular protection—safely, naturally, and without a troublesome list of side effects. 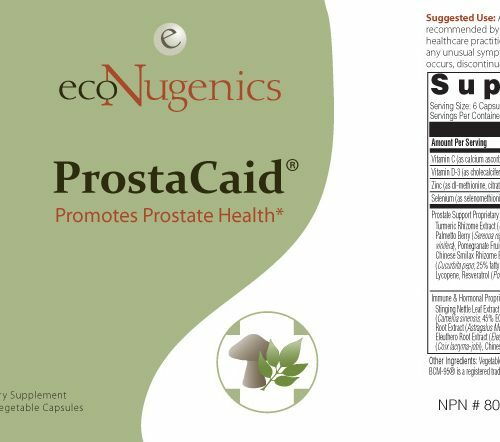 ProstaCaid® has been shown to work synergistically with EcoNugenics PectaSol-C® Modified Citrus Pectin to offer a Significant Increase in Prostate Cellular Health Maintenance and Support. 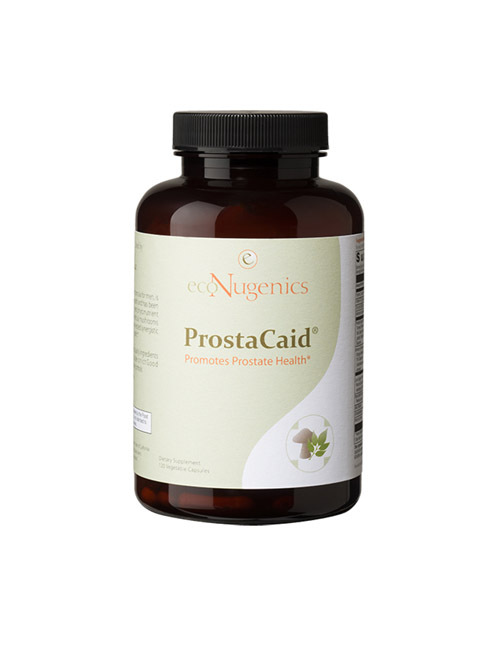 Over 30 powerful ingredients deliver comprehensive prostate care – ProstaCaid® is an all-natural, multi-ingredient supplement that combines 33 powerful nutrients, medicinal mushrooms, minerals, and botanicals that work together to provide powerful, long-lasting prostate support. Critical Hormone Modulation. 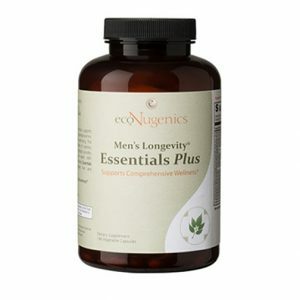 A proprietary blend of herbs & nutrients supports healthy levels of alpha-reductase, DHT, and aromatase, helping to slow estrogen formation and improve critical estrogen-testosterone ratios in your body. Strong but Gentle Detoxification. Natural botanicals support liver detoxification, facilitating safe and gentle excretion of estrogens and dangerous estrogen-mimicking compounds, all of which are known to play key roles in a variety of prostate concerns. Powerful Cellular Protection. Harnessing the free-radical-fighting power of the most potent antioxidants in nature, this novel formula promotes healthy cell growth in both hormone sensitive and hormone resistant prostate cells. Vital Immune Support. The Three Different Species of Beneficial Mushrooms – Phellinus linteus, Ganoderma lucidum, and Coriolus versicolor – are grown on a proprietary botanically enhanced organic brown rice, developed by Dr. Isaac Eliaz. The botanicals used in the process improve the potency of the mushrooms and the overall effectiveness of the formula. EACH INGREDIENT in ProstaCaid® is selected on the basis of Potency, Quality, and Scientific Research demonstrating unique benefits for prostate health. By combining these components, ProstaCaid® is a highly effective, safe, and synergistic formula designed to offer cellular support, healthy immune function, and ideal hormonal balance. ProstaCaid® includes broccoli extract and herbal ingredients that support liver detoxification and promote the excretion of both excess endogenous estrogens and xenoestrogens (potent estrogen-like compounds which are of special concern in prostate health). Other ingredients like green tea extract have been shown to promote healthy prostate cells. BCM-95®, a patented form of turmeric with enhanced bioavailability, is a natural antioxidant and helps maintain a healthy prostate. 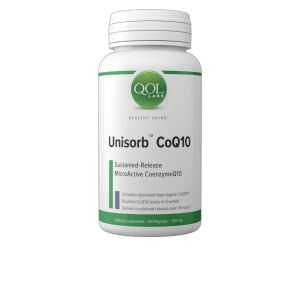 The combined action of potent antioxidants and nutrients helps maintain DNA and supports healthy prostate and hormone balance. ProstaCaid® contains three organic botanically enhanced mushrooms cultivated indoors in a controlled environment. The mushrooms in this blend are grown on a proprietary mix of health promoting herbs and organic brown rice. 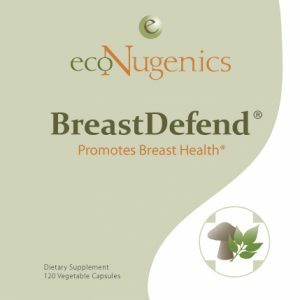 This growing method fortifies the mushrooms with powerful immune supporting properties specific to prostate health. 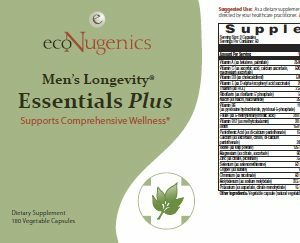 This comprehensive poly-herbal formula contains 33 unique ingredients to support prostate health. ProstaCaid is more advanced, comprehensive and effective than Integrative Prostate Care, and is formulated utilizing the most current Scientific Research Data, Technological Advancements and Clinical evidence. Unlike Integrative Prostate Care, ProstaCaid also contains a blend medicinal mushrooms that have been cultivated on immune and prostate health supporting herbs. 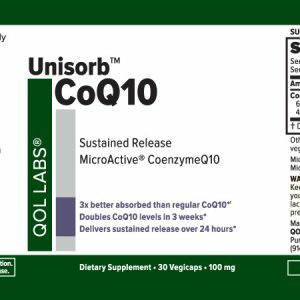 This product has no known adverse effects or contraindications.